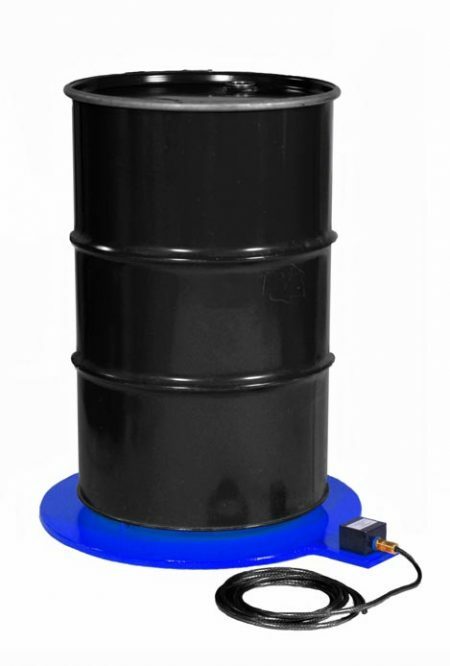 Our 900 Watt Base Drum Heater is manufactured from 2mm thick mild steel for extra rigidity on uneven surfaces with tapered edges for safe ease of drum location and is protected by a resilient high temperature coating. Temperature adjustment is via a rear aperture in the control unit, with neon light indicating power on & when heating via a window in the control unit top. 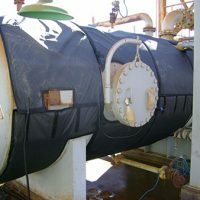 Heat is supplied via a silicone insulated etched foil heater giving a uniform temperature across the platen face. 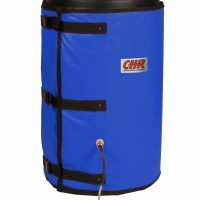 Insulated with 2” of high density “rock wool”, the heat transfer to the base is minimal. 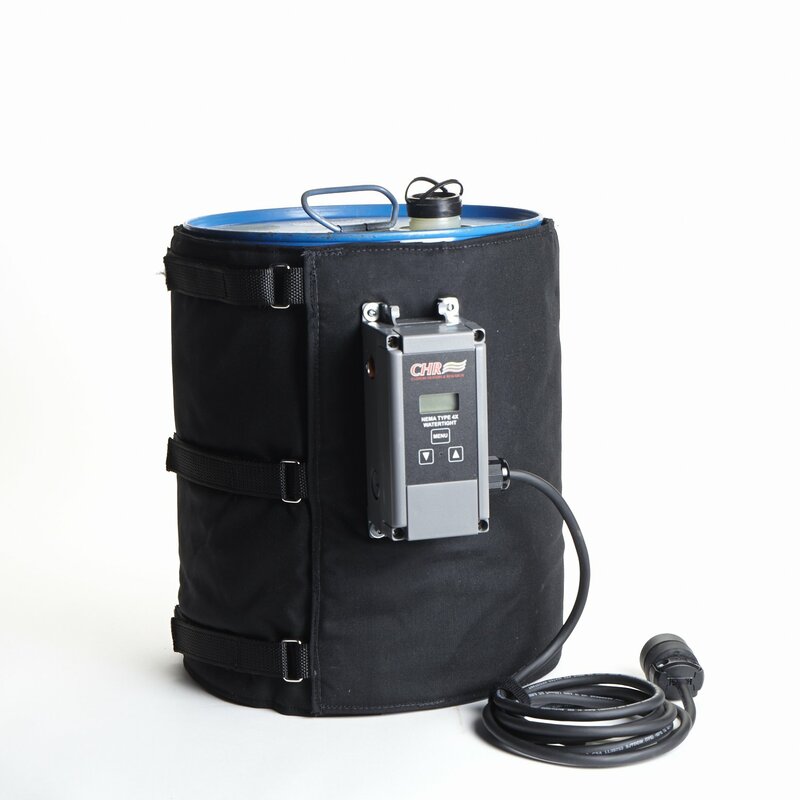 CHR’s 900 Watt Base Steel Drum Heater is rugged and simple to use. 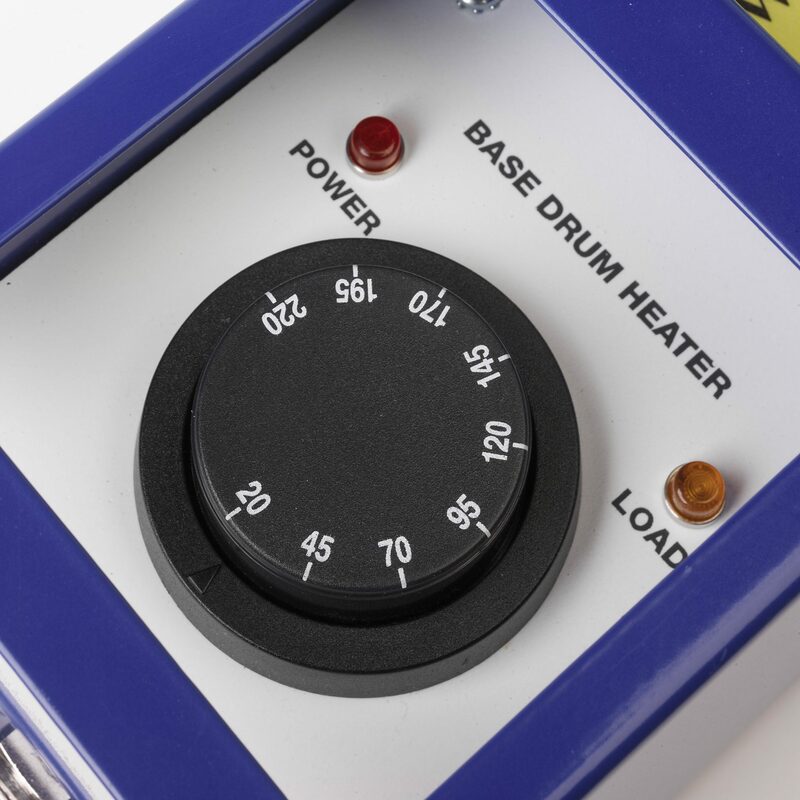 The diameter of the base drum heater enables use on all sizes of drums up to 55 gallons (200L). 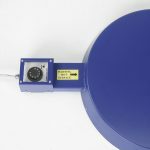 Heat is provided by a 900W silicone rubber insulated heater mat, providing an even distribution of heat to the base. 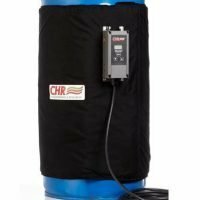 If a rapid heat up is required or solid mediums are involved requiring higher power input, CHR Full Coverage Drum Heaters can be used with the Base Steel Drum Heater. The design has the drum bottom fitting “over” the heater so the heater makes direct contact with the bottom of the drum.